The mammoth, which is estimated to have lived 10,000 to 15,000 years ago, was discovered on the Lyakhovsky Islands in northeastern Russia by an expedition team from North-Eastern Federal University. The scientists believe the blood and tissue of the animal was preserved due to the permafrost, permanently frozen soil. 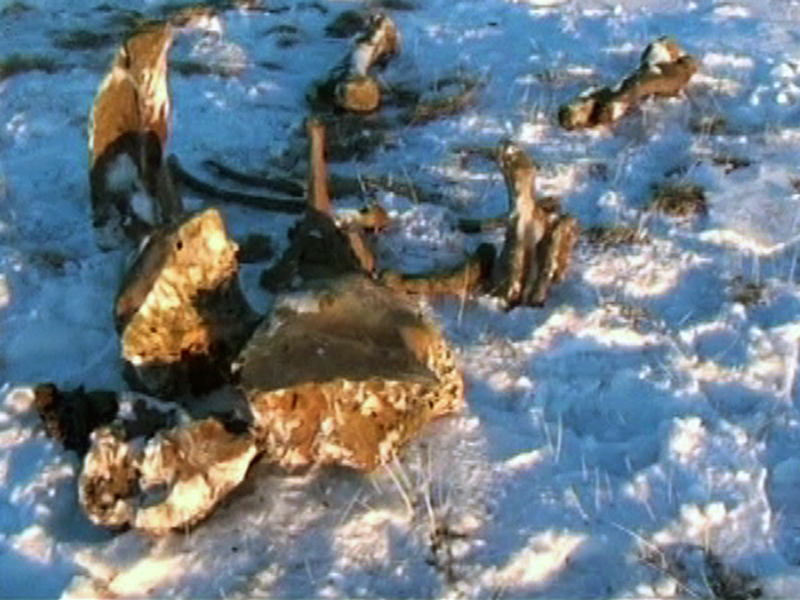 Despite freezing temperatures of 14 degrees Fahrenheit, the mammoth's blood was liquid, still leaking under the animal. "We have put the blood sample into the freezer of the Mammoth Museum. It still did not freeze at -17 degrees Celsius [1.4 degrees Fahrenheit]. We need to study it thoroughly to draw any conclusions," Semyon Grigoriev, expedition participant and director of the Mammoth Museum of North-Eastern Federal University, told Russian media. He suggested that the blood could contain cryoprotective features, that would protect cells or tissues from damage during freezing, which could have helped the animal survive the long winters. The expedition team believe the creature died from starvation after possibly getting stuck in a swamp. Russian media reported that this discovery is the first time scientists have managed to obtain mammoth's blood so well preserved. Since the 1990's, scientists have made several unsuccessful attempts to clone the long-extinct animals by using cells from previously discovered mammoths.